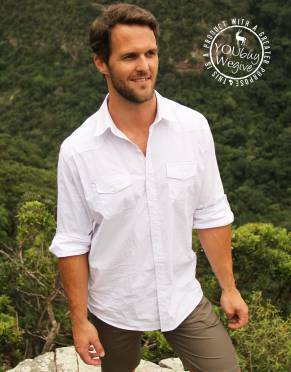 The shirt for you to wear in the evening after a long day in the sun on safari - the Out of Africa way. Transplant a bit of classic panache into every day with the shirt that is a perfect fit anywhere. 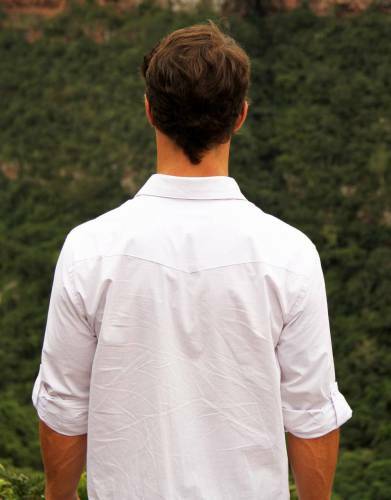 If you’re looking for clothing that embodies the romanticism of classic safaris, the white shirt is an iconic fashion piece. 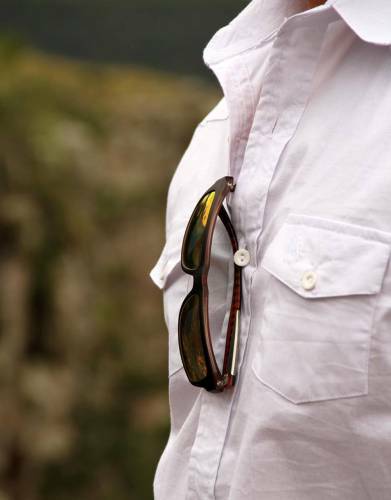 In the wake of the heat and dust of a day out on safari, a crisp white shirt is a simple way to look dapper next to the campfire, listening to the crackle of the flames, the distant roar of a lion, or the whoop of a hyena. 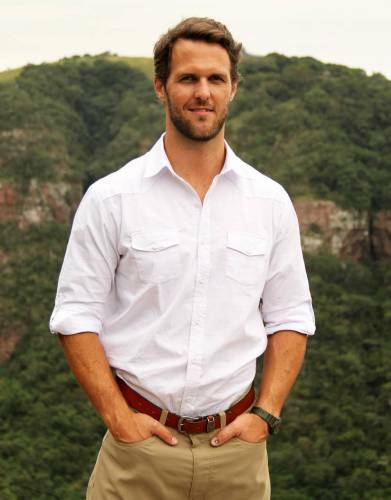 A great white shirt is elemental to any man’s wardrobe. This classic shirt can be stylishly cool and casual over a pair of shorts or tucked into a pair of trousers for a more formal look. Its versatility makes it a lifestyle shirt that is a perfect fit in both far flung places and urban spaces – for travel, work, casual wear, or for a night out. The striking look of the Quintessential White Shirt is amplified by the subtle styling and Mara&Meru™ features. The seams of the stretch poplin shirt are placed for the best fit and look of the shirt when wearing. These and other design finishes such as the unimposing ribbon lining on the inside of the collar and concealed alongside the buttonholes on the front of the shirt are special additions for an added touch of luxury. 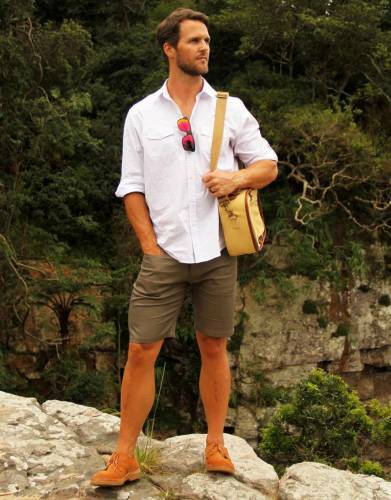 The two button-up chest pockets are handy, functional, and contribute to the appeal of the overall design. 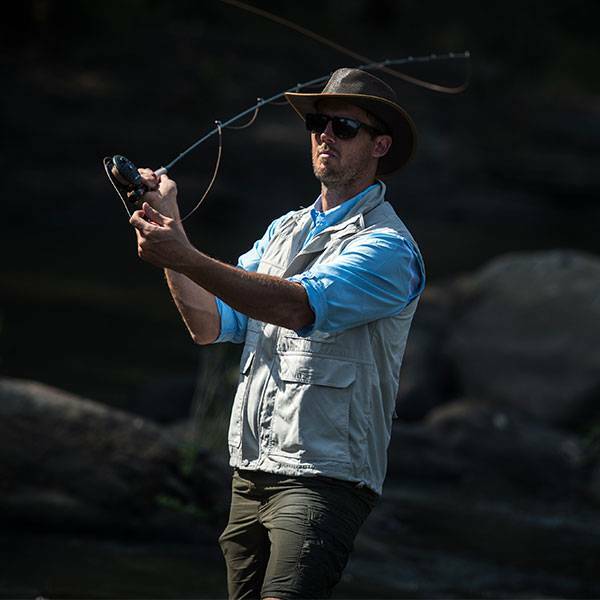 The long sleeves of the Mara&Meru™ Quintessential Shirt can be conveniently and stylishly rolled up and secured by means of our specially-developed double roll-up tabs on the sleeves. The sunglasses loops on the inside of the shirt are an industry first and were designed to secure your sunglasses to your shirt to stop them falling out when you bend over. 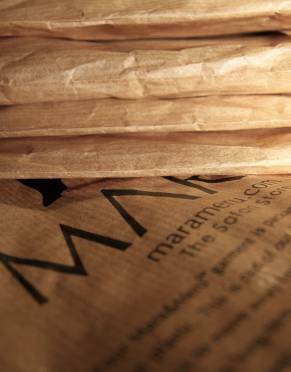 ⊙ FIT AND DETAIL: The Mara&Meru™ Quintessential White Shirt is a classic button-up shirt. The placement of the seams and subtle design detail of the ribbon along the inside of the collar and concealed alongside the buttonholes on the front of the shirt all complement the overall look of the shirt. 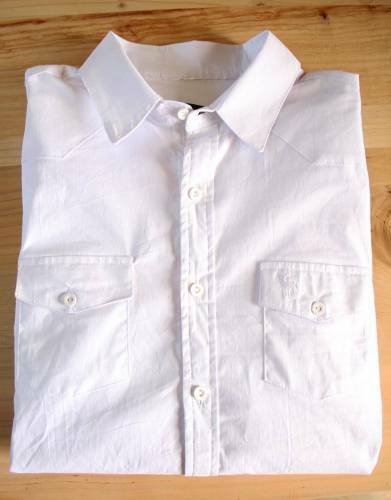 ⊙ DOUBLE ROLL-UP SLEEVE TABS: The long sleeves with single-button cuffs of the Mara&Meru™ Quintessential White Shirt can be rolled up and secured by the double button and loop sleeve tabs. The tabs secure the sleeves when they're rolled up but remain hidden when sleeves are down. We have added in a second sleeve tab per sleeve as an adaptation based on our expedition testing. By its very nature, stretch poplin wrinkles relatively easily. 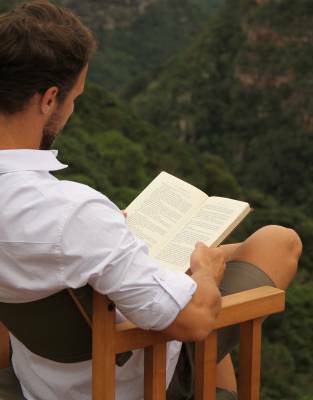 When travelling, we advise hanging the Mara&Meru™ Quintessential White Shirt on arrival at your hotel or lodge. *Please do not assume your size - always check the size guide.